KAMPALA. Former Uganda Broadcasting Corporation (UBC) managing director Paul Kihika has jumped from a frying pan straight into the fire as his endless run-ins with Police has seen him spend a night behind bars. Kihika was picked by detectives at around 6.45pm Wednesday and detained at Jinja Road Police Station. 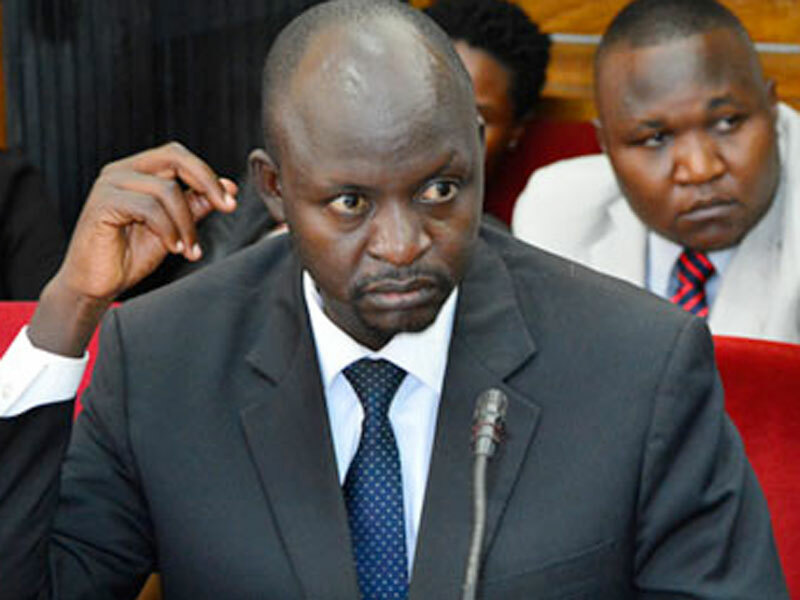 However the arrest is not related to the corruption allegations in connection to a Shs3.6 billion UBC-Airtel sponsorship deal to air the 2014 Fifa World Cup matches. Instead, Kihika, who has been belly-dancing with bad fate of recent faces charges of giving false information to a public officer and framing a detective of theft of his mobile phone. A source privy to the matter, who spoke to PML Daily on condition of anonymity, said Kihika will be charged before court on Thursday. Sometime back, Kihika is said to have landed on some information that there was a suspicious deal taking place that would see part of a public parastatal sold to private individuals. Kihika had then accused some senior public officials of being party to the deal. The accusation reached Emmanuel Mbonimpa, the head of media unit at CID, who went to work, tracing Kihika and confiscating his mobile phone. Without a clue to what was going on, Kihika ran to Jinja Road Police Station and accused Mbonimpa of stealing his phone. Mbonimpa was summoned only for the case to turn out that he was investigating Kihika. A file for sanctioned against Kihika and detectives mounted a hunt for him. Detectives were already hunting for the former UBC boss after he failed to honour summons over the World Cup ticket sales fraud a fortnight ago. Police are investigating allegations of embezzlement, abuse of office, false accounting, causing financial loss and conspiracy to commit a felony against the official while executing a UBC-Airtel deal between 2013 and 2014. The case stems from alleged embezzlement of partial payments sent by Airtel, a telecom company, to UBC accounts to sponsor the Fifa World Cup matches in Brazil. In 2014, Kihika’s love-hate affair with fate dates saw him sacked as UBC managing director, but he didn’t just pack and go. Police had to be called in to forcefully evict him after he denied the new boss, Angello Nkezza, access to the office, claiming that he had not received proper and official instructions to hand over.